Like many of you out there, I have given in to Pinterest addiction, and pinning, repinning and liking has become part of my daily routine (much more that I'd like to admit)! 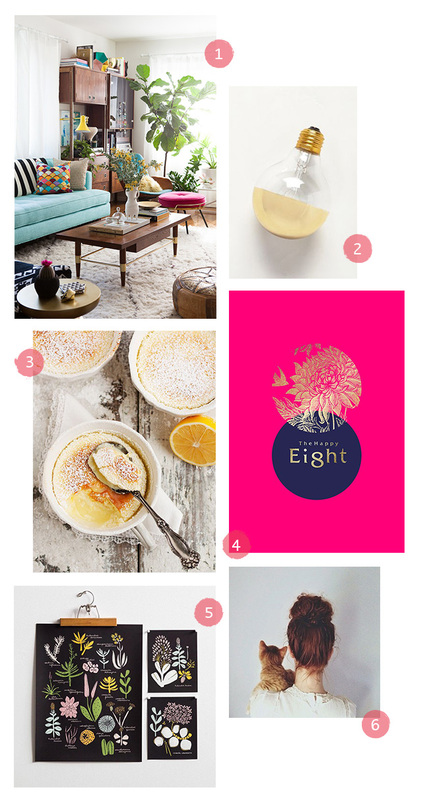 So, here's a selection of my 6 favourite pins of the moment, just for you. You deserve it! 2. Details like this gold bulb can make a room! 6. Because, come on, that's so cute! !